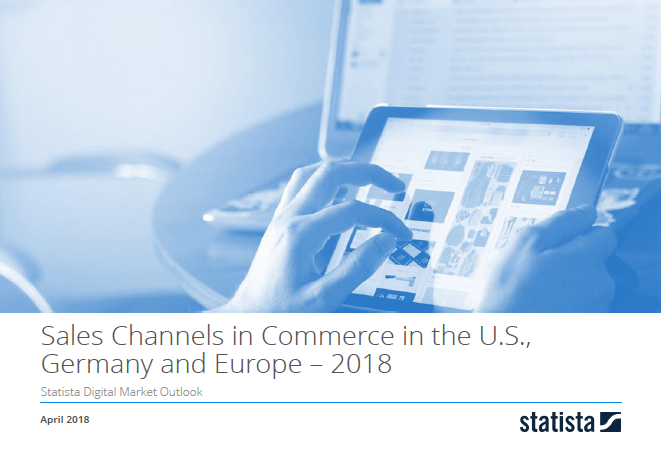 This whitepaper gives you a short introduction to the major developments in the field of retail sales channels and includes the sales channels forecast in percent of revenue for years 2017 and 2022.
eCommerce is one of the hot topics when it comes to digitalization and disruptive changes to traditional industries. Online stores seem to spring up like mushrooms and everyone seems to appreciate the convenience of ordering on the Internet. But what are the actual numbers behind the trend? Does online trade really account for such a large share of overall retail revenue? Regions covered in the paper are the U.S., Germany and Europe.